LINCOLNSHIRE, U.K. (KGO) -- A birdwatcher in the United Kingdom noticed a herd of 30 cows behaving very strangely near a muddy puddle. 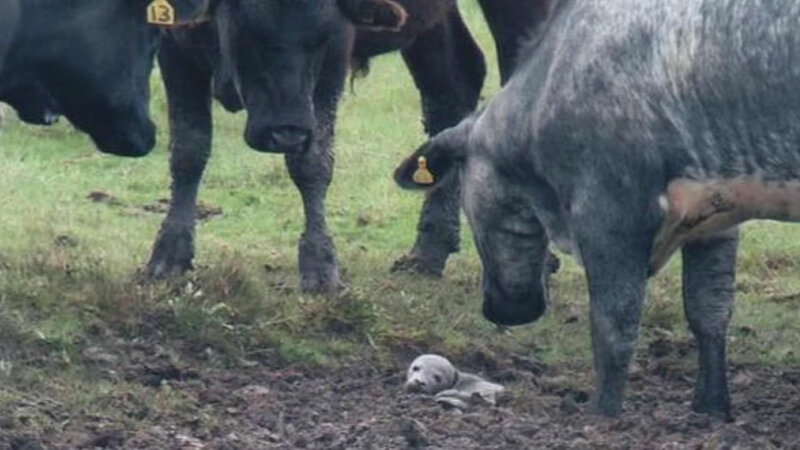 When he looked through his telescope, he saw a tiny seal pup stuck in the mud. A local seal sanctuary came to rescue the pup, which they named Celebration, and it's now recovering at their facility. Thanks to the cows and the bird watcher, they anticipate Celebration will make a full recovery. They hope to release the little seal back into the wild soon.